When you get a quote for Cover-More travel insurance you’ll be able to customize your coverage to suit you. Whichever ExactCare® plan you choose, your policy will automatically include things like cancellation from your trip suppliers, medical expenses, trip delay, trip interruption and more, plus we offer AirCare® plans for flight-related coverage. Here is an overview of the different types of insurance we offer. As our budget option, ExactCare Value from Cover-More offers you top-quality travel insurance at an affordable price. It’s particularly suited if you’re traveling within the United States, giving you the peace of mind in knowing you’re protected should something unforeseen cause you to cancel your trip. Learn more and get a quote here. A step up from ExactCare Value, our ExactCare option offers a few more inclusions while still providing great value for the money. You’ll get coverage for trip cancellation and interruption, as well as baggage protection and travel delay. Plus, you’ll also receive medical and emergency medical evacuation coverage that, with the exception of a few states, can be increased to fit your needs. Learn more and get a quote here. As our top-tier product, ExactCare Extra offers a range of added benefits on top of those provided by ExactCare. These include generous medical and emergency medical evacuation coverage for pre-existing conditions as well as the Cancel for Any Reason benefit, which allows you to cancel your trip, up to 48 hours prior your departure date, for a reason not listed on the plan. Learn more and get a quote here. As the name suggests, AirCare covers you for a whole range of mishaps and incidents relating to domestic flights within the USA. Starting at very affordable prices, AirCare insurance can pay you fast* when your flight is delayed or you are stuck on the tarmac, and can take the sting out of lost luggage. AirCare can complement any of the ExactCare plans above, or stand on its own. Learn more and get a quote here. If you’re flying overseas, AirCare Abroad is for you. 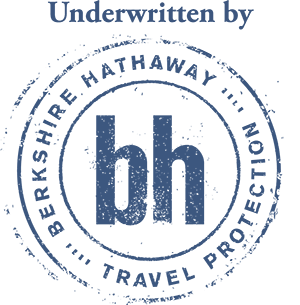 It offers most of the same types of coverage as the standard domestic AirCare insurance, with slight adjustments for international travel, and provides 24/7 live help worldwide. AirCare Abroad can complement the ExactCare, ExactCare Value or ExactCare Extra plans above, or stand on its own. Learn more and get a quote here. For coverage that can be customized to suit you and your travel needs, choose Cover-More insurance. Get a free quote today. *Limits, exclusions and conditions may apply. Please refer to the Description of Coverage for full details.